Teaching children to persevere through challenges is an important step in helping them develop a growth mind-set. The older I get, the more I come to realize that it is though failing that we succeed; through disappointment that we develop resilience; and through challenges we face that we grow stronger. 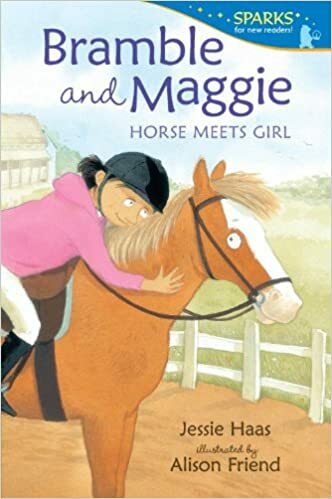 Sharing picture books where characters are faced with and overcome challenges is a great starting point for teaching these important life lessons. Here are my top picks for promoting perseverance and growth mindset. Bert is gathering up courage to launch into flight. 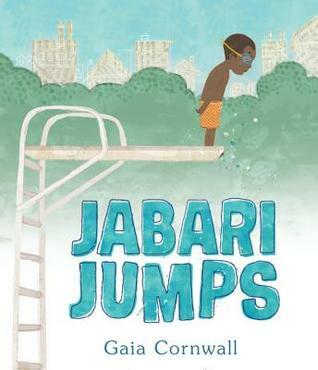 This is a fun tale about taking a leap of faith and trying something new. It’s good to face our fears, whether it’s learning to fly…or something else. 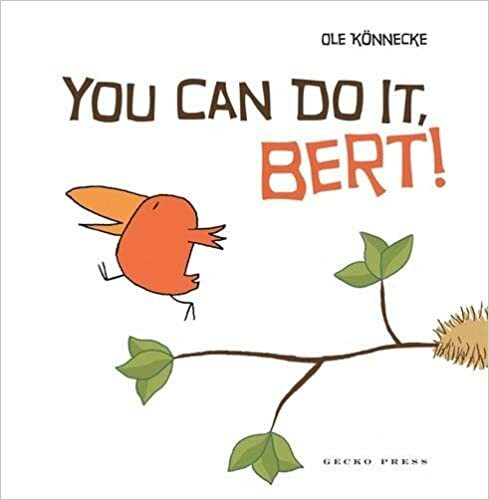 Sweet illustrations and I loved Bert’s encouraging friends. I love using this book to teach critical and creative thinking, problem solving and perseverance. When a little girl decides to make a “most magnificent thing”, she finds herself becoming more and more frustrated when things don’t work the way she had planned. Although she keeps trying, she eventually has a melt-down and quits! It’s only when she re-visits her plan, reflects on her mistakes, and develops a new plan that her”magnificent thing” is finally built! 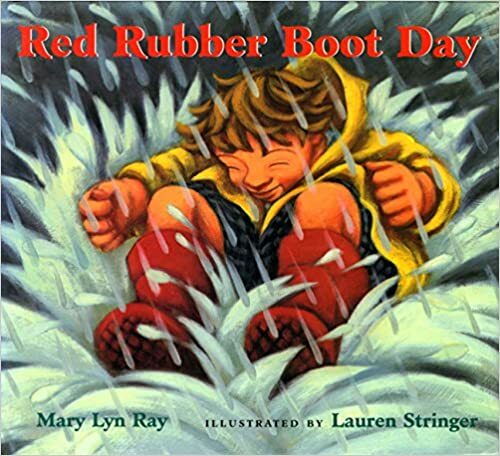 I used this book as the anchor for a school-wide “MMT” (Most Magnificent Thing) project. You can read about it on my blog post here. 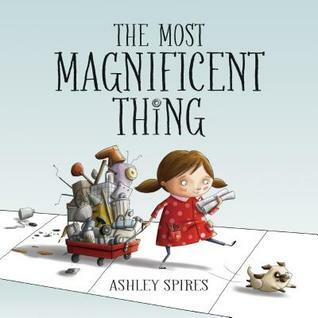 I’m a big fan of Ashley Spires so was excited to read her new book when it came out this fall. Lou is an adventurous, imaginative girl who loves to play with her friends. But when they decide to play pirates and climb a tree, Lou hesitates. She doesn’t know how but is afraid to admit it. Great messages about trying new things, overcoming fears, and not making excuses. Every child can make connections to being on that diving board for the first time and looking down into that pool. This is wonderful book about facing and overcoming your fears. Great for making connections! Big clear words and pictures with views from below and above fill the pages. I loved the view from the diving board with “his toes curled around the rough edge”. LOVE! 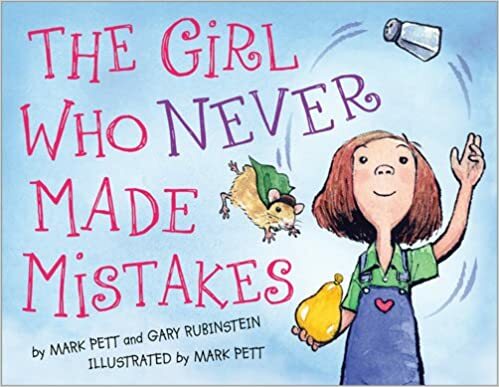 This amazing picture book shows the importance of failing before you can be truly great – and it’s a wonderful story about self-esteem. I love this great, smart young role model and the rhythm and rhyme of the text. Delightful read-aloud! 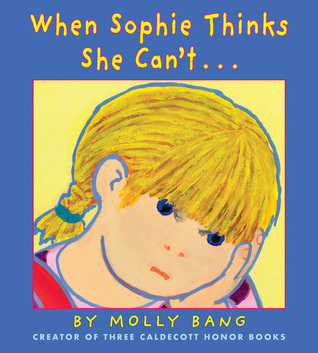 “When Sophie Gets Angry- Really, Really Angry” by Molly Bang has long been one of my “go to” connect books for managing feelings and emotions. 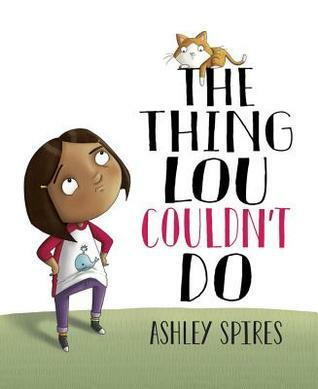 This new companion “Sophie” book, “When Sophie Thinks She Can’t…” is the perfect anchor book for introducing the concepts of “Fixed” and “Growth” mindsets to your students, as well as problem solving and perseverance. Would also be a great link to Math as Sophie is frustrated with tangram puzzles. 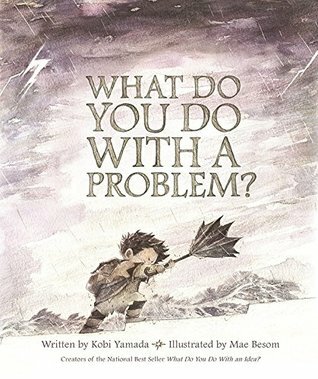 An excellent book to explore a variety of problem-solving strategies with your class at the start of the year. An inspiring companion to What Do You Do With an Idea? Love the message that we have the power to turn problems into opportunities. Fascinating non-fiction book about the brain about the importance of learning new things & making mistakes in order for your brain to grow. Love the illustrations and the “voice” of the narrator. 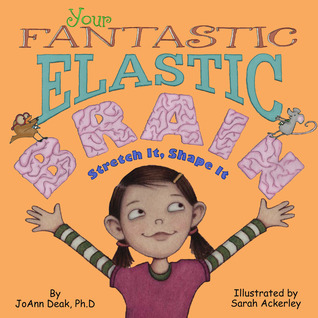 Although this book does include some scientific vocabulary, it is clear and colourful and communicates the message that your brain is an amazing thing and that you should learn from mistakes and challenges. Perfect for growth mindset! 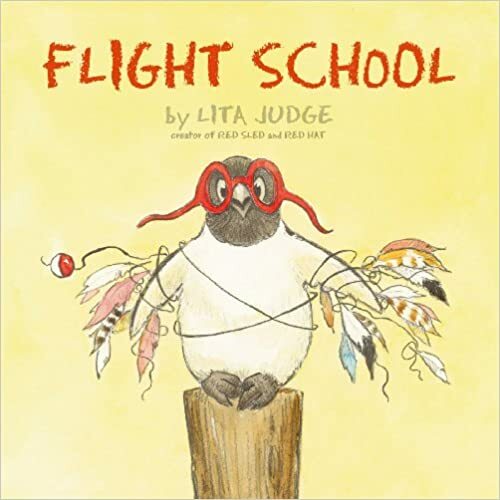 SOOOO love this book about an adorable penguin who has a dream to fly. Brilliant message that encourages hard work and persistence in achieving your dreams. Beautiful illustrations, great humour – this book is definitely one to share. I love this penguin’s tenacity and positive attitude! One of my favorite books from last year, After the Fall is beautiful, brilliant, inspiring and surprising! 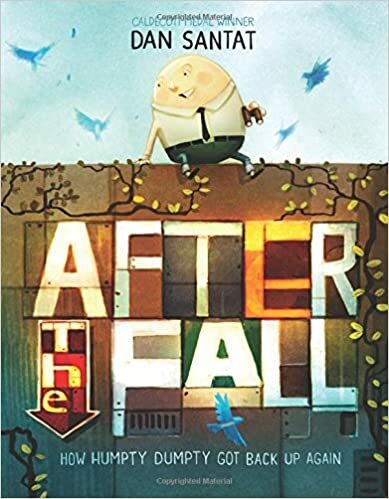 A contemporary retelling of Humpty Dumpty, where we learn that after his fall, Humpty Dumpty developed a fear of heights. I really appreciated the way that after Humpty Dumpty was physically put back after his ordeal, but still has to deal with the emotional impact. Such a great story with a VERY surprising ending! 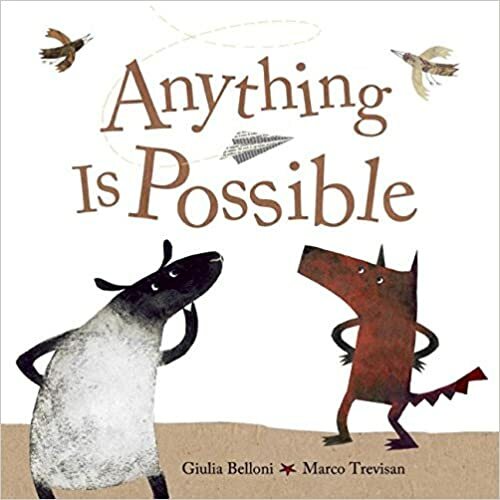 Lovely book about perseverance and teamwork. Two unlikely animals team up to see if they can create a flying machine. Beautiful illustrations! SO many things to love about this book! 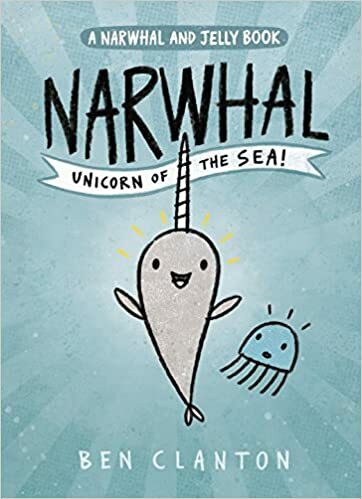 It is an inspiring and beautifully written story of ambition, resilience, creativity and courage; an inter generational story about the special relationships with our grandparents; a perfect anchor book for making connections to family; and an amazing mentor text for writing descriptions and similes. WOW! LOVE this book! 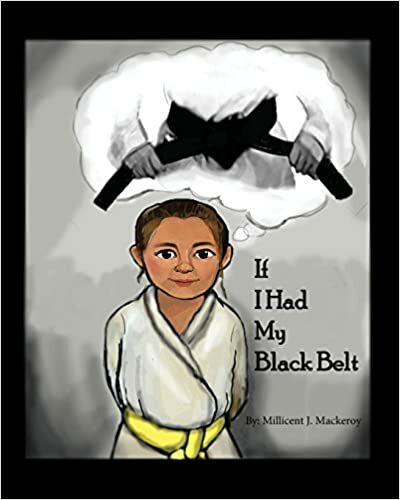 A young girl dreams of what it will be like to have her black belt in Taekwondo. Her delusions of grandeur are very entertaining, but in the end she reminds herself of the hard work and practice needed to earn her belt. 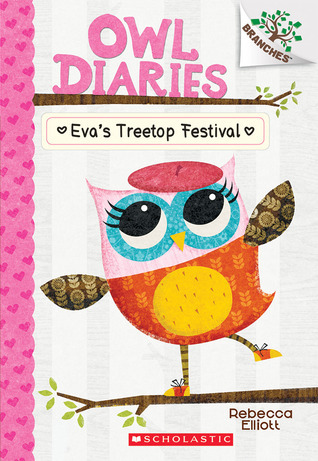 I LOVE this brand new book, this message, these illustrations – everything about it! Thanks for stopping by! 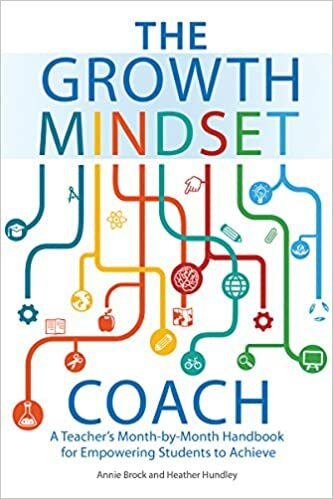 What are your favorite books for teaching perseverance and “growth mindset”? What is a line? Think about it for a moment. It starts and it stops… or does it? A line, on one hand, is a simple mark or stroke on a surface. But when you start thinking about it, you realize how many different lines there are and how many ways we use the word in both expressions and to describe things…. “A fine line”, “crossed the line”, “line in the sand”, “over the line”, “end of the line”, “you’re out of line”, “draw the line”, “read between the lines“, clothes line, number line, time line, line-up, line change (in hockey), line dancing, the bottom line, border line, line of longitude, line of latitude, fault line, deadline, enemy line, battle line, line of fire, tan line, fishing line, telephone line, blood line, zip line, party line, front line, line from a poem or story, dotted line, underline, inter-lined, straight line, crooked line, squiggly line, long line, stand in line, line-by-line….Phew! That’s a lot of lines! I thought about how this concept of “line” would make an interesting inquiry project – “What is a line?” With a little imagination, a line can be…just about anything you want! What a great way to connect art, story and imagination. 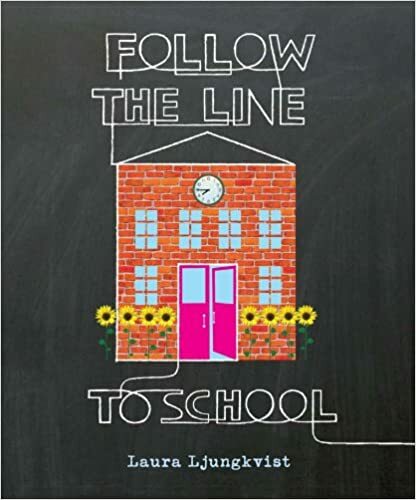 Fascinated by the concept, I started my search for picture books about lines… and it didn’t take long to fill up my top ten list! Any of these books could be used as anchors for art, writing – or both! 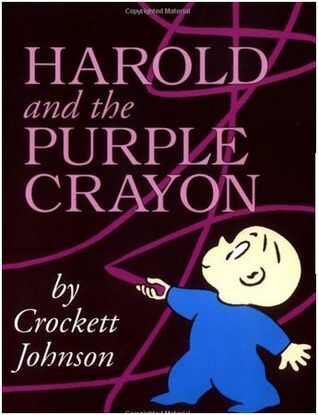 First published in 1955, this gentle book really started it off: the idea that a child with an imagination and thirst for adventure could use purple crayon lines to create his own imaginary world. Add a few obstacles, some humour, a moose and some pie – and you have yourself a classic! 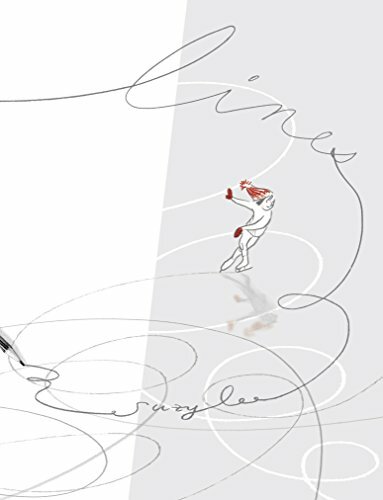 This wordless picture book takes the reader on an adventure of a little girl discovering a line. As the girl follows the line, the reader discovers what adventure awaits her. 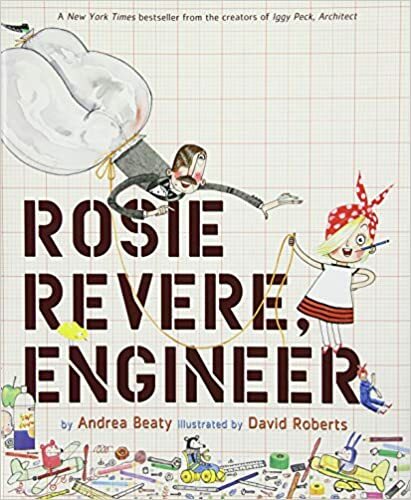 A perfect story starter for early-elementary as they begin to explore narrative, either by using one of the girl’s creations in the story or by coming up with their own way of turning the line into something. 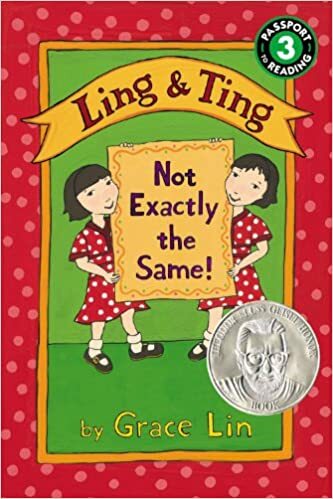 A little girl, a piece of string and a big imagination – from a Dragon Dance to the Great Wall of China, food, and other items she experiences – I love the diversity in this book as well as the beautiful brush stroked illustrations. A great anchor for drawing and writing! 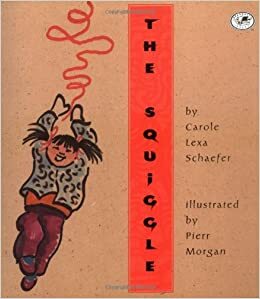 What will your squiggle be? 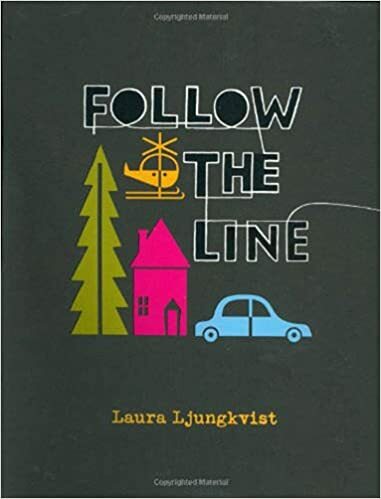 This is the first in a series of books by Scandanavian artist Laura Ljungkvist in which she explores one continuous line throughout an entire book. In this book, a single line begins on the front cover and winds its way across each page as we flow from city to the country, from the sky to the ocean, from morning till night. Each page is packed with color, objects, buildings, animals and amazingness! In this book, we follow a single line on a playful romp through the school. From the library to the science corner – this is an interactive, creative and fun way to engage the reader. I like that the text also prompts the reader with questions…. “Here is the class pet. I wonder what kind of animal it is?”… “Now we’re in the lunch room. What will you eat for lunch today?” Other books in this series include: Follow the Line Around the World and Follow the Line Through the House. 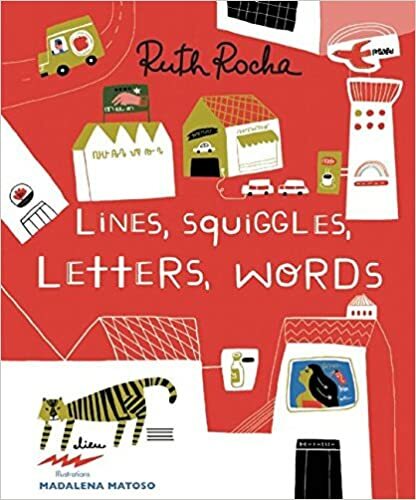 Translated from Portuguese by Brazil’s most famous children’s authors, this charming picture book tells the story of a boy who sees squiggles and lines that don’t exactly make pictures and he can’t quite decipher. But when he starts school, he realizes that those confusing squiggles and lines were actually letters! Sweet look at the beginning to read for early primary. A great introduction to the writing process! 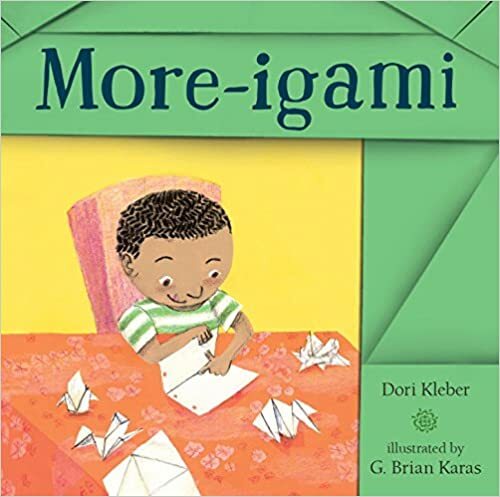 While the last book focused on the beginning reader, this one playfully and imaginatively explores a young child’s process of learning to express himself through writing. I love the message of finding your own voice and that everyone has a story inside us – tell it, draw it, squiggle it! 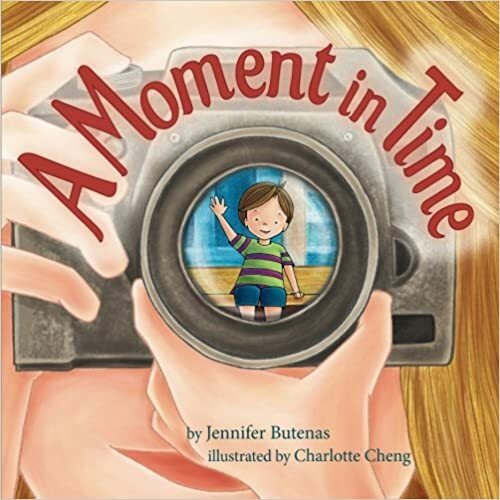 In this heartfelt book, we see lines as memories and stories of a well-lived life. As a little girl points to a line on her nana’s face, Nana tells her a story. A celebration of family, grandparents, memories and life stories – this beautiful book makes me teary every time I read it. And here are two to more LINE books to watch for this fall…. The amazing Katheryn Otoshi (author of One, Two, and Zero) has, once again, given us a book filled with rich discussion points. 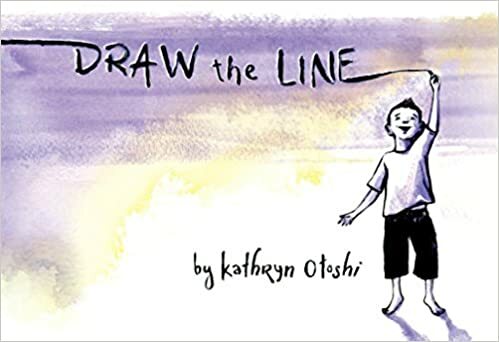 Draw the Line is so much more than a book about lines. 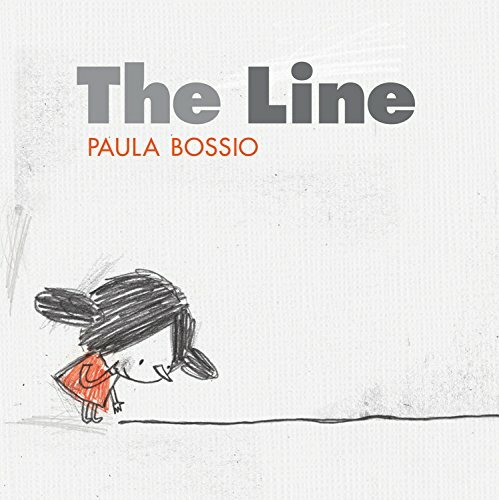 It is a beautiful wordless picture book about friendship, creativity, community, conflict, resolution – and a “line” connecting us all. 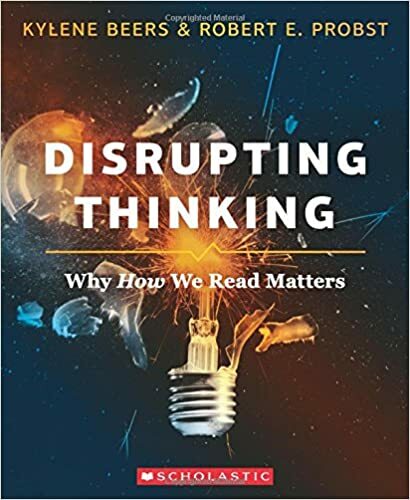 A must have book for inferring, connecting, transform…. Brilliant! Another thought-provoking wordless picture book that will inspire rich discussions in an upper elementary classroom. This one focuses on an environmental theme, specifically ethics in the fishing industry. 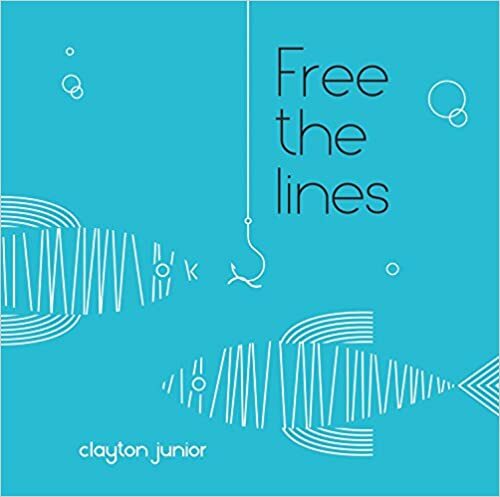 Told through extraordinary lined drawings, Clayton tells a story of a small cat fishing in a small boat on a large ocean who runs into a huge, smoke-belching trawler, who sets out enormous nets and catches all the fish. How the cat solves the problem is one that could be up for debate. 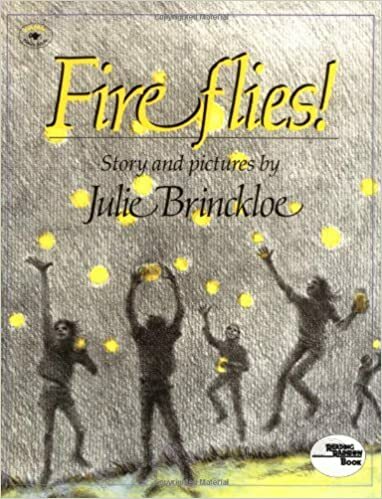 It truly is amazing how much you can say in a picture book without a single word of text – a perfect book for inferring (ie. what are you inferring the tile means?) and questioning both the story and the message. Watch for this one! 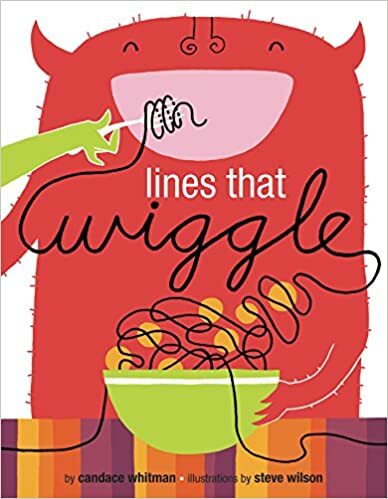 And there you have it – books about lines that I hope will inspire you and your students draw, squiggle, swirl and write with and about lines! Enjoy and thanks for stopping by! Here are my top 10 recommended professional books for summer reading…. Three years ago, I presented a workshop at a Reading Conference in Moosejaw, Saskatchewan. The conference was held in a hockey rink – in my memory, the zamboni came to clean the ice between each speaker (actually that didn’t happen – but it felt like it could have!). Presenting at the same conference on their then new book Notice and Note were Kylene Beers and Bob Probst. I attended one of their sessions, and they mine. We drove back to the airport and the hotel together. I was star struck, if I’m being honest, and although I tried very hard to be “cool” in the car ride across the flat prairies, it was difficult for me not to start patting their arms or squeezing their legs. I’m THRILLED to have their new book on the top of my summer TBR pile! 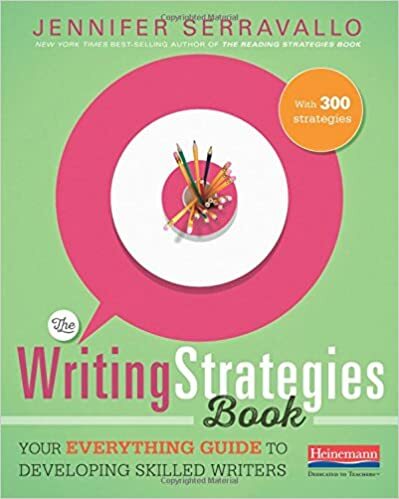 I LOVED Jennifer Serravello’s first book The Reading Strategies Book, so am very excited to read her new book on writing. Her books are VERY practical and have lessons you can use right away. I can’t wait to read this one! 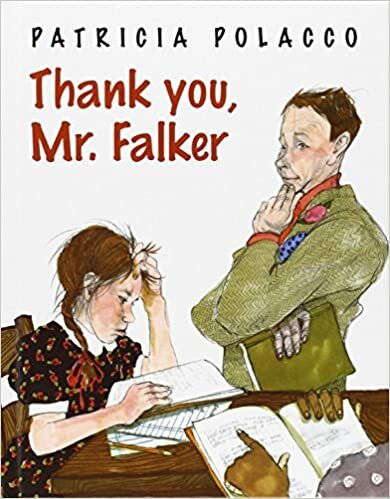 I am a huge fan of Ralph Fletcher and have many of his previous books on teaching writing. As a writing teacher, it is hard to find the balance between teaching structure and giving kids a chance to “just write”. In this book, Ralph Fletcher proposes a new concept: greenbelt writing. Writing that is “raw, unmanicured, uncurated…I am talking about informal writing…I am talking about low-stakes writing, the kind of comfortable composing kids do when they know there’s no one looking over their shoulders.” I am very excited to read this and learn some new strategies for less structure and more “joyful, whimsical, playful” writing time. Kath Murdoch, from Australia, is the “guru” of inquiry based learning and I am a new fan girl of hers. I have heard nothing but rave reviews about her and this book so am eager to dive in. Here is a quick preview of her talking about this book. 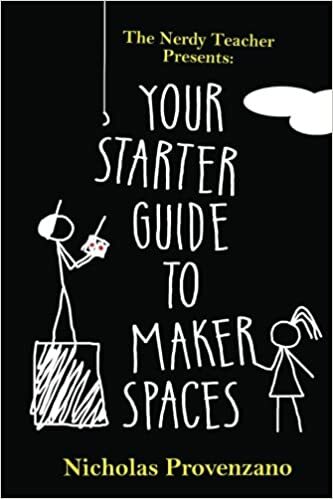 I have to admit the concept of “Maker Spaces” is a new one for me… and with so many ideas floating around, I was on the lookout for a simple guide with practical suggestions and real-classroom ideas to help a newbie like me get started. I believe this might be just the book I am looking for! I often refer to a “shift in thinking” in my workshops – small movements of thought that give you a new perspective. 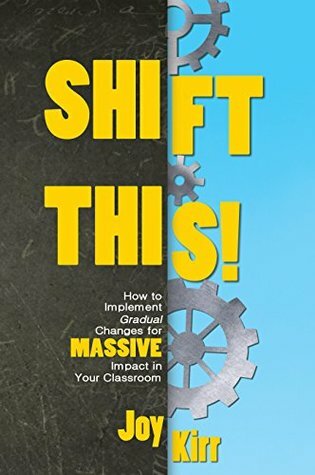 This book caught my eye simply because it had the word “shift” in the title, but after glancing through the contents and a quick “flip read”- I already have some take-aways: having a sign out sheet by the door for the students to be in charge of their own bathroom breaks; changing “homework” to “independent practice”. A perfect summer Pro. D. read! Kindergarten Teachers! I haven’t forgotten about you!!! 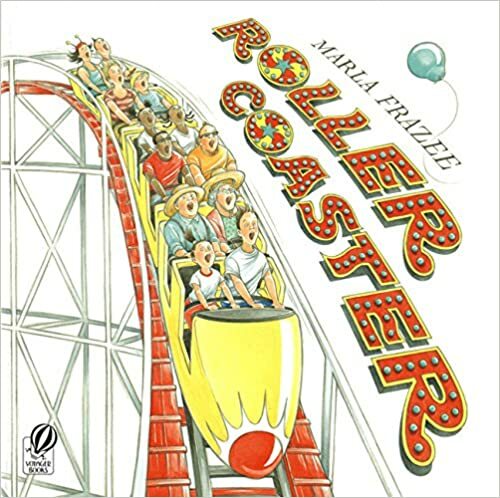 Here is a book focusing on inquiry-based learning especially for the kindergarten classroom. Easy to follow with lots of helpful tips. 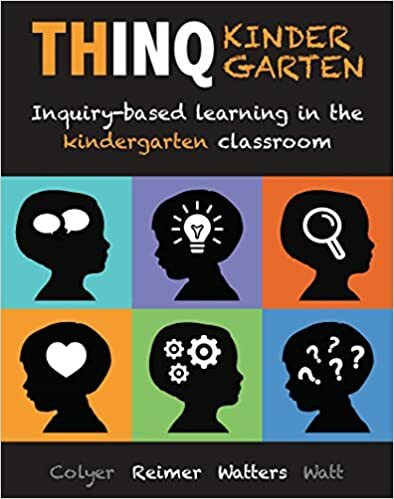 A version of this book for middle grades is also available: ThinQ 4-6: Inquiry-based learning in the junior classroom. Through all the changes and challenges we face each day as teachers, we sometimes forget to have fun! In this quick read, I was reminded how much we have to be joyful about in education. A great reminder to find and embrace that joy because our students deserve it. 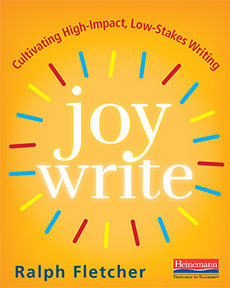 Full of practical ideas to bring joy back into your classroom – this is a great summer read! What professional book will you be reading this summer? Thanks for stopping by! A heartfelt picture book about a girl who prefers running and jumping to listening and learning—and the teacher who gently inspires her. Written as a thank-you note with gorgeous illustrations. This one is inspiring and may require a Kleenex. 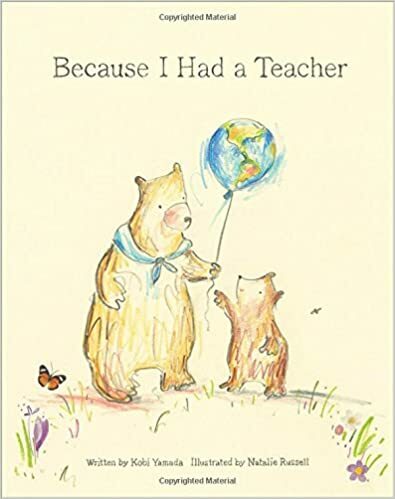 This is a charming little keepsake book features soft, sweet watercolor artwork and thoughtful original text celebrating teachers and all they. Please note this book is very small – like something that would fit into a purse – very sweet, but tiny. 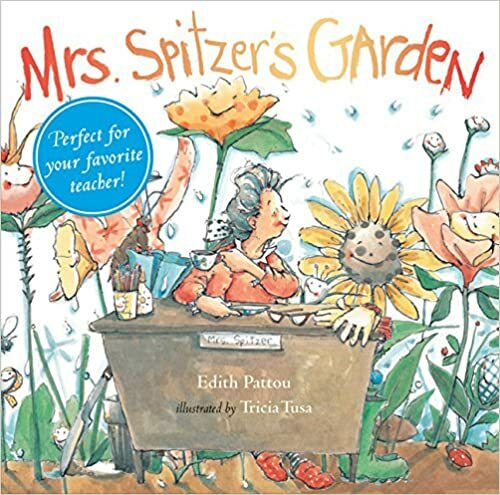 A metaphor for teaching – tending a garden – planting, nurturing, growing. Simple, moving story and whimsical illustrations celebrate all that teachers do, year after year, to help children grow and blossom. A great teacher gift. “Because I had a teacher, I have whole new worlds to explore. I discovered that what I can imagine, I can make real. And now I feel like I can do anything. 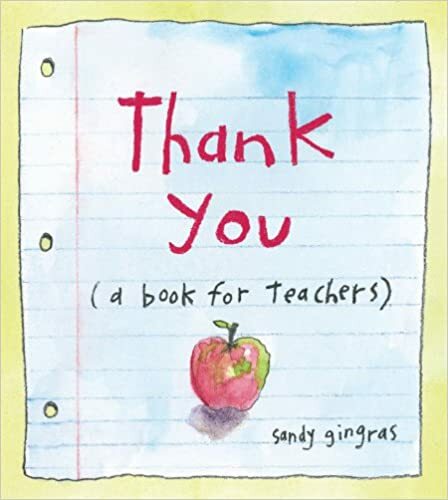 This heartwarming book is a thank you gift for great teachers everywhere. Adorable illustrations. You can never go wrong with Todd Parr! Summary: Teachers are amazing! They help you find new talents, learn new things, and watch you succeed. A wonderful ode to teachers. 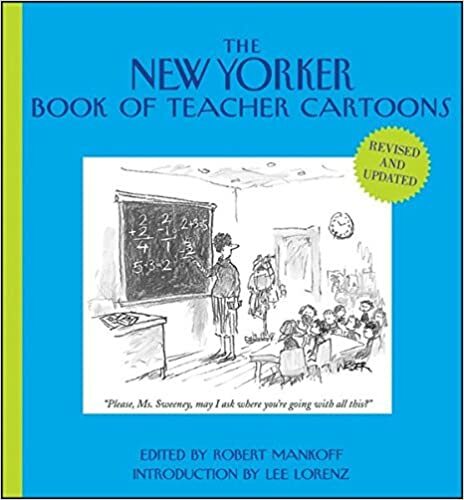 For those teachers for whom a picture book is maybe not the best fit – here is a hilarious collection of cartoons that capture the fun, terror, excitement, anxiety, bedlam and joy that teachers experience every day. Hilarious! This book is hilarious! Full of apparently real-life wrong answers to various test questions. 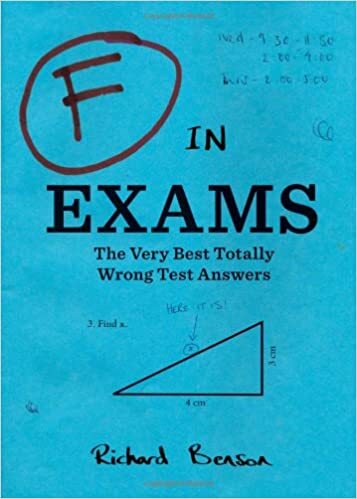 Perfect for anyone who has ever taught high school or middle school who will make many “connections” to these creative wrong answers to test questions. At a dinner party, teacher Taylor Mali was asked by a dinner guest, who happened to be a lawyer, what teachers make. Tired of being asked this question, he wrote a poem which he later performed at a poetry slam. The poem got such attention, he turned it into a book. 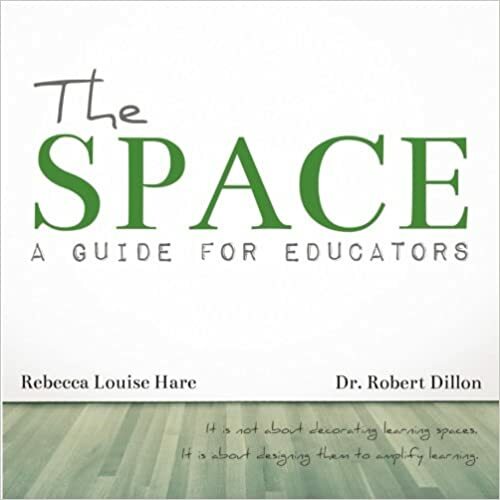 Heartfelt and filled with inspiration, this is a perfect gift for every teacher. I did not know about this book but was inspired by Taylor Mali’s reciting the poem on YouTube. 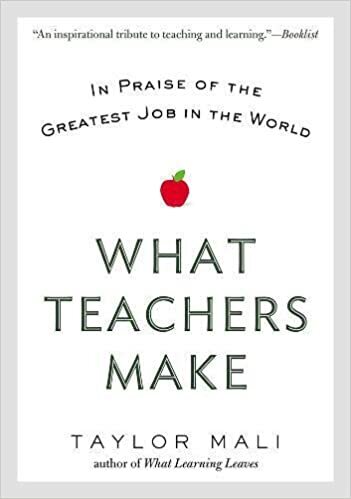 No list of inspiring books for teachers would be complete without this one. 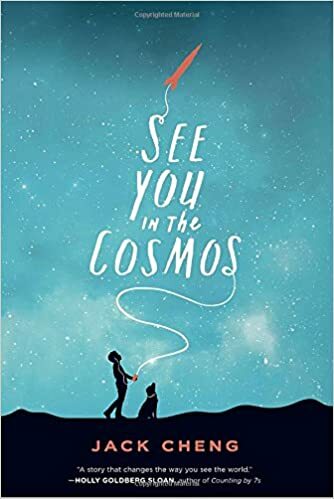 A beautiful, touching story of a girl struggling to learn to read and the amazing teacher who “unlocked the door and pulled [her] into the light.” Kleenex definitely required for this one – I cry every time I read it. This special book is for that special teacher who just finds a way. Is it Friday yet? Get ready to go behind the desk with this insiders look at a year in the life of an everyday educator. 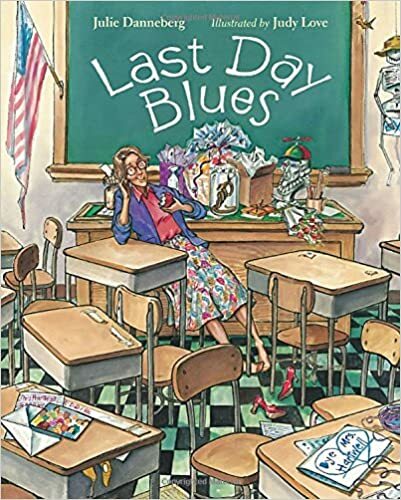 Written for teachers by teachers, this hilarious snapshot into the lives of the overworked and underpaid will have you laughing so loud, you’ll worry it might get confiscated. 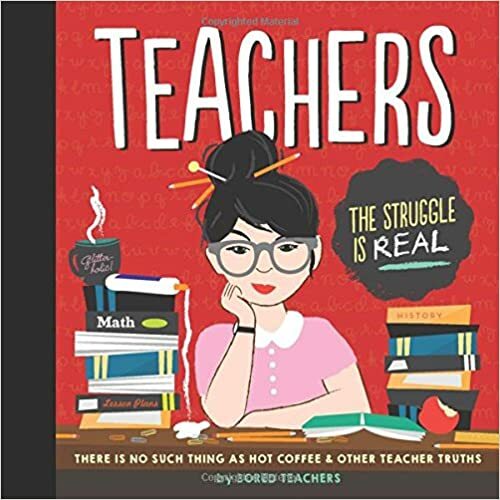 Full of administrative frustration, madcap humor; and heartfelt love for the most underappreciated profession of them all, Teachers is the perfect gift for that special someone who spends all day with your kids. 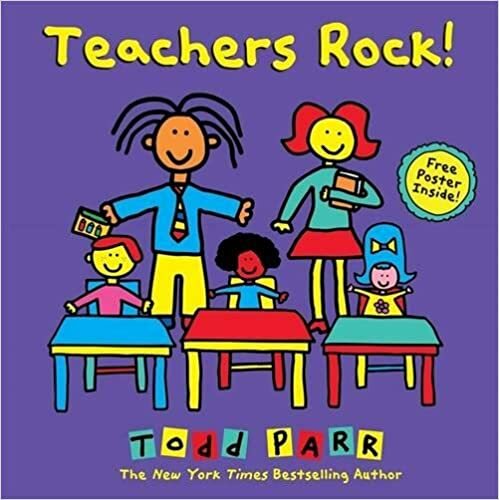 What are your favorite teacher gift books? 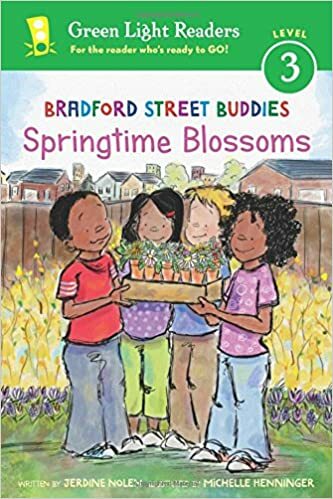 With only a few months left until the end of the school year, you may be looking for that “just right” end of the year read-aloud for your class to send them off into the summer bursting with book love! There are many amazing new books that I have fallen in love with and hope you do, too! Here are my top ten favorite new books to fill your classroom and your hearts with book joy. Bixby Alexander Tam, or Bat, is great at Math and knows more about animals than anyone in his class, but he is not great at making friends. When his mom, a veterinarian, brings home a baby skunk, Bat becomes the best skunk care-taker ever, all while trying to navigate his world. A Boy Called Bat by Elana K Arnold is a charming story for your younger middle grades (Gr. 4-5, possibly gr. 3) I like that this book has a character most likely on the autism spectrum, without the book being about that. The story focuses more on Bat’s love of animals and how this empathy for animals helps him connect to his classmates. This book is tender, heartwarming and funny with an amazing character you and your students will fall in love with. Major warm fuzziness. This book is not available until the end of May but it is a MUST read! 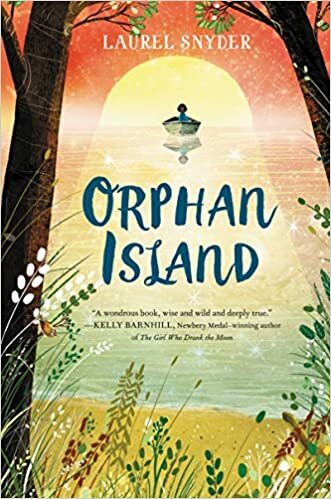 So much to love about this deep, compelling, heartbreaking, and completely one-of-a-kind novel about nine children who live on a mysterious island. I was completely captivated by the writing, the themes, the story – I could not put this book down. So much emotion and pain and beauty. WOW. 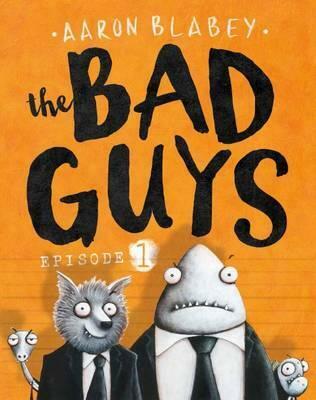 Perfect read-aloud for grade 5-6 level that will stimulate lots of discussions. A “road trip” novel, narrated by space-obsessed 11 year old Alex through a series of Podcasts. There have been a lot of books written through letters, emails, situation reports – but this is the first I have read that is written in podcasts. Protagonist Alex travels to a large rocket festival with hopes to launch a rocket into space carrying a golden iPod. His a journey toward family, love, hope, and awe is funny and moving. Gorgeous, Gorgeous, Gorgeous debut middle grade novel. So much emotion in this hauntingly beautiful book – I cried in many places. 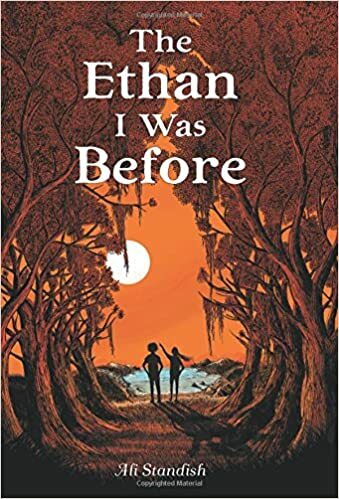 Ethan is a haunted, broken boy, filled with grief and guilt about an undefined accident that happened to his best friend. This is a book of loss, love, guilt, resilience and forgiveness. It is a multi-layered plot but the story strands all weave together in the end. Fast paced and beautifully written. 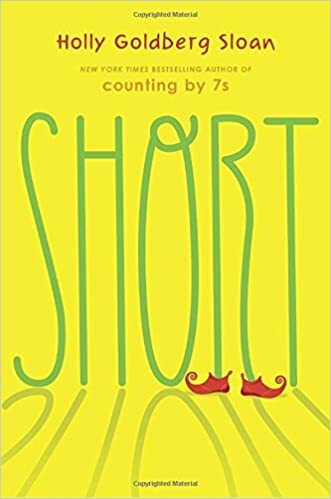 Counting By 7’s author Holly Goldberg Sloan’s new book is a endearing novel about a short girl who is cast in her first theater role as a munchkin in a summer production of Wizard of Oz. Julia has such an authentic voice that had me laughing one minute and welling up the next. Loved the realistic “musical production” setting and would be a great connect book for students involved in theater or school productions. So much to love about this book that takes place almost entirely in a single day with an unusual cast of characters who come together for a strange adventure. I love the diversity of the characters, the combination of reality, adventure and magic, the weaving in of Filipino culture and stories (told by a whimsical grandmother), the charming, witty narrative, the themes of family, friendship and believing in yourself… I could go on and on but just read it! 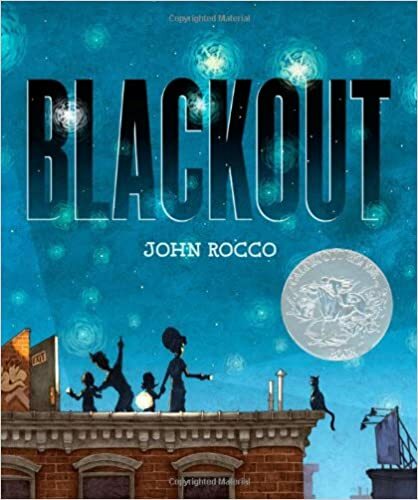 This book is the perfect way to approach environmental issues with the middle grade audience! (think Hoot by Carl Hiassen). 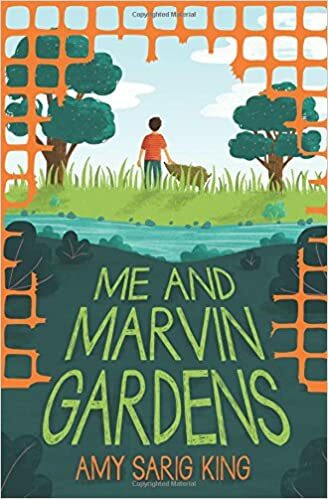 Me and Marvin Gardens is a cleverly written story about a changing world and the changing environment. I believe I found a class discussion could come from almost every page! 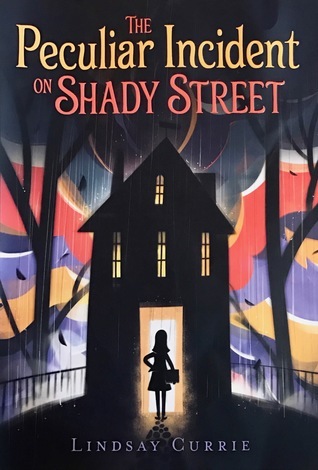 While filled with important environmental issues, it is also a coming-of-age story as sixth-grade Obe must overcome fear and deal with bullies. Excellent choice for a read-aloud! Ahhhhhhh! This book is CREE-PY! But Oh, SOOOO good! If you like history, mystery and scary stories – this is for you! As well you will find…Friendship, humor, suspense, emotion, family, heart. So well written.. and oh, and did I mention it was scary???? 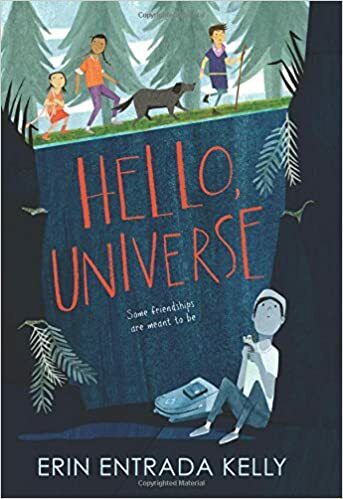 An excellent story filled with many issues middle grade readers will connect to – changing friendships, parental restrictions, having the courage to try new things and trying to find your own path. 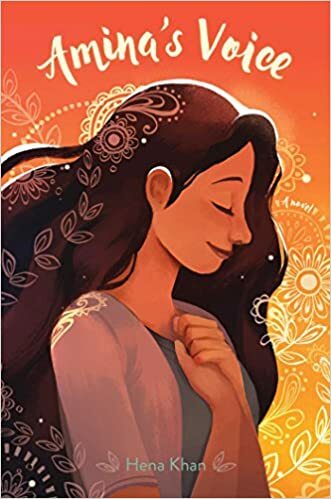 I loved how Amina’s culture, faith and experiences being a Pakistani American Muslim are woven into the story in such a natural way. Great writing and memorable characters. 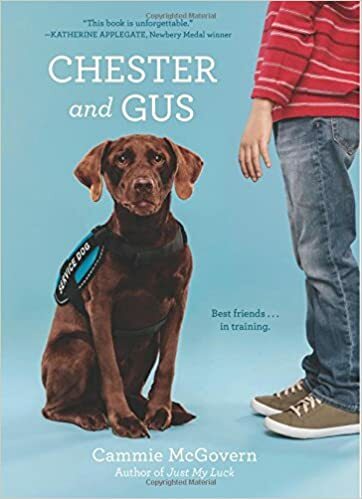 Written from the point of view of Chester, a therapy dog in training, as he tries to build a relationship with his human, Gus, who happens to be autistic. This book will make you laugh, cry and want to hug every dog you meet. The power of this dog’s love for Gus will steal your heart. LOVED this book SO much! 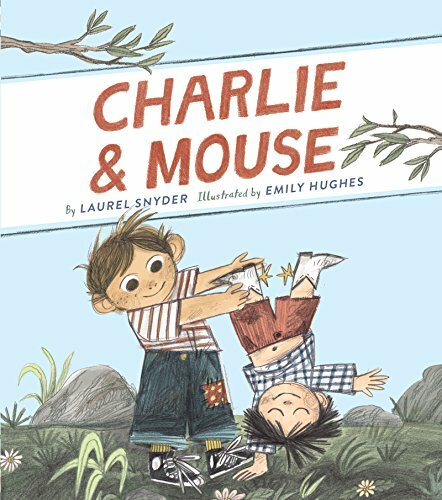 The perfect book to introduce “small moments”! This rhyming story describes a family of four on summer holiday savoring each joyful, delightful simple moment. 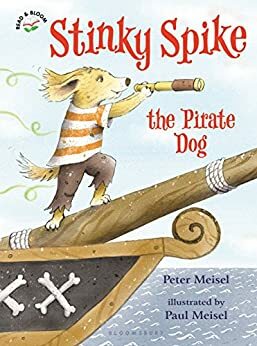 Wonderful anchor for re-telling an event, complete with all the sensory descriptions of a whooshing, whirling roller coaster ride. 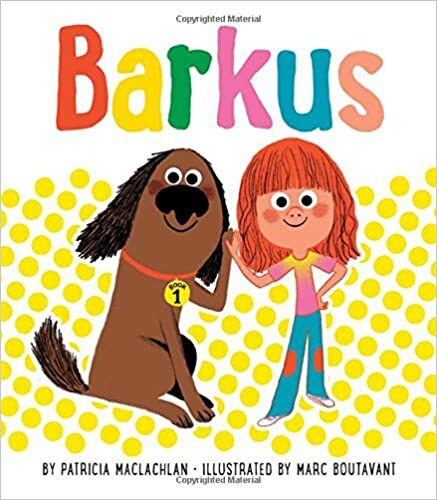 From one of my all-time favorite authors, this gentle book describes the sounds, smells and feelings of a summer visit from family, complete with snores, strawberries and lots of hugs. Perfect for making connections to family gatherings and a great anchor for writing. A late night “special moment” describes a young girl’s encounter with a deer. 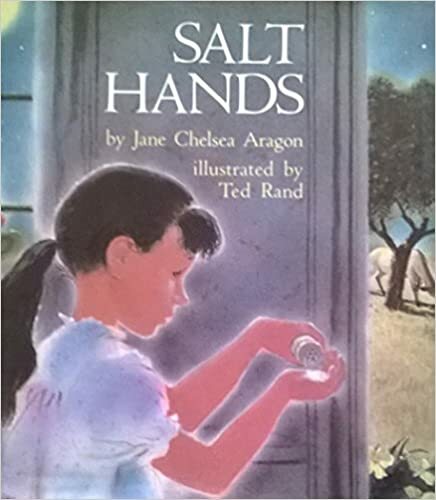 She pours salt in her hand and waits for the deer to trust her. A perfect description of a special moment when a human and animal touch. Simple, cautious and quiet. A young girl and her dad spend magical moments searching for owls one clear winter night. This is another quiet, patient book that is filled with sensory images, similes and gorgeous descriptions. Have you ever done something you knew you weren’t really supposed to – just for the thrill of it? 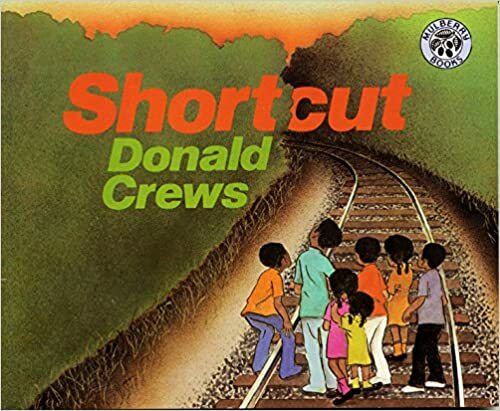 This book tells the story of a group of children who, despite what they have been told, get the thrill of a lifetime when they take the short cut along the railroad tracks – and a train comes! 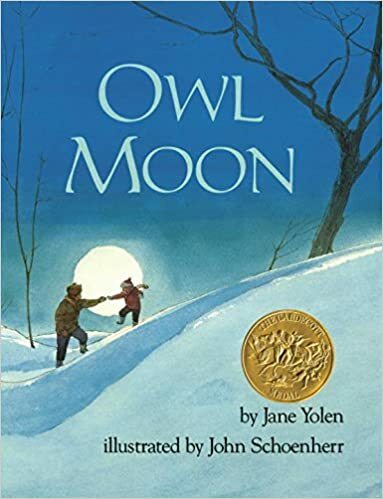 This is a perfect book for making connections teaching onomotopeia-“Whoo! Whoo!”, “klackity, klackity, klack”. Catching fireflies on a warm summer night. Discovery, magic, joy – read this book with quiet whispers. It is a truly magical moment to inspire some magical moment writing. The sights and sensations of a rainy day. Lovely language, vibrant illustrations. 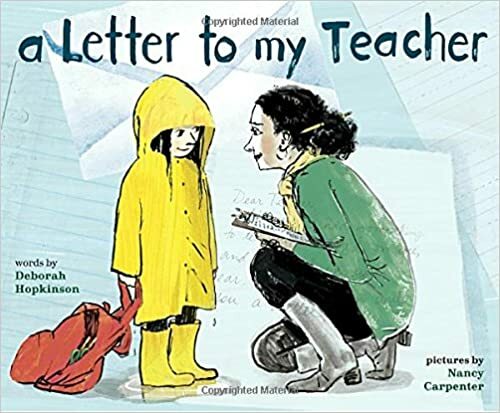 This book is a perfect connect book for West-coasters and will inspire some great “rainy writing” from your students. Simple description of favorite days, favorite routines, and family bonding. 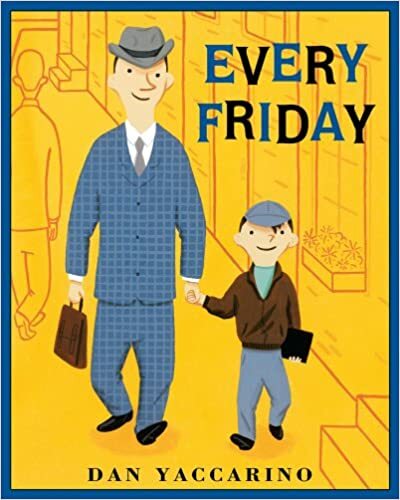 Every Friday, a young boy and his dad have a regular walk together and then eat the same pancakes at the same diner. 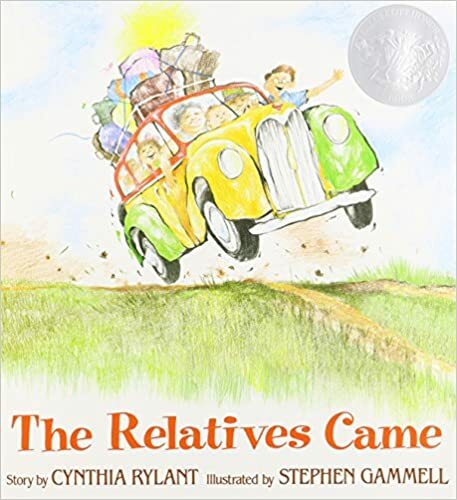 A great book for getting students to think about their own family routines. This is a simple book, but will inspire some great “Every ____________” writing! 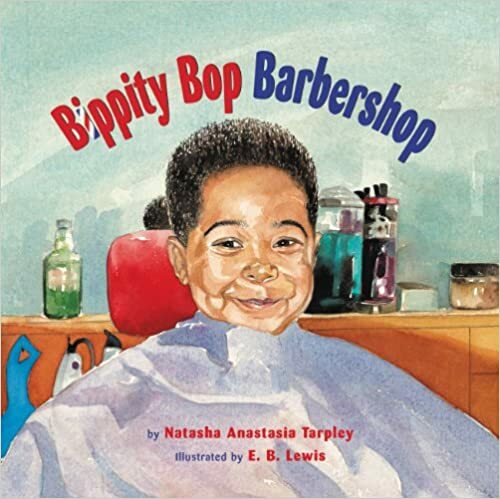 So much to love about this book about a young boy’s first haircut: diversity, overcoming nerves, reassuring parent, cheerful, loving scenes of home and community. 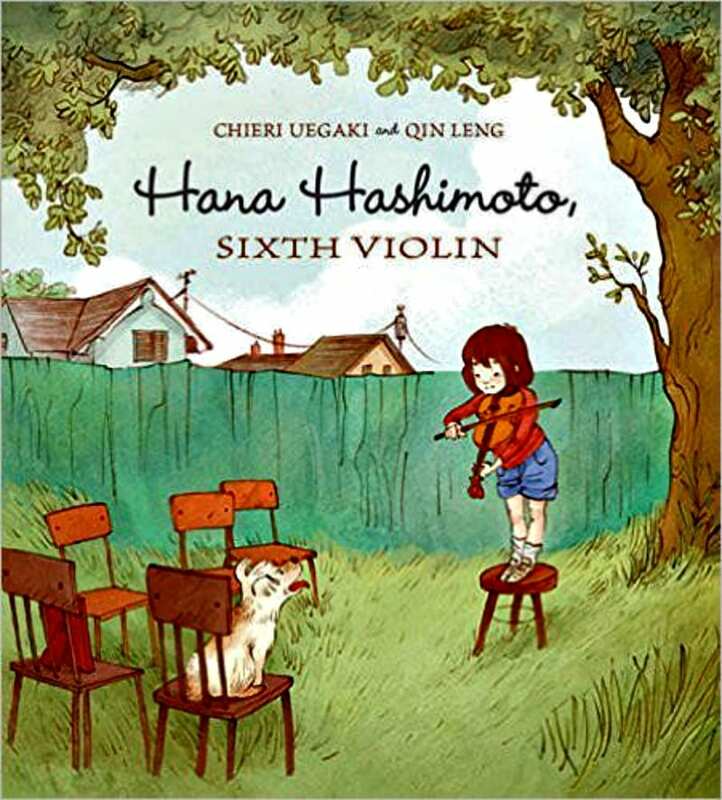 Lovely illustrations and gentle rhythm. Love this book for making connections. One hot summer night in the city, the power goes off. OH NO! What can we do? No computers! No play station! No cooking on the stove! No lights! It turns out, spending the evening on the rooftop with the neighbours and watching the night sky is better than video games! And there you have it! Ten books to inspire “small moment” writing!